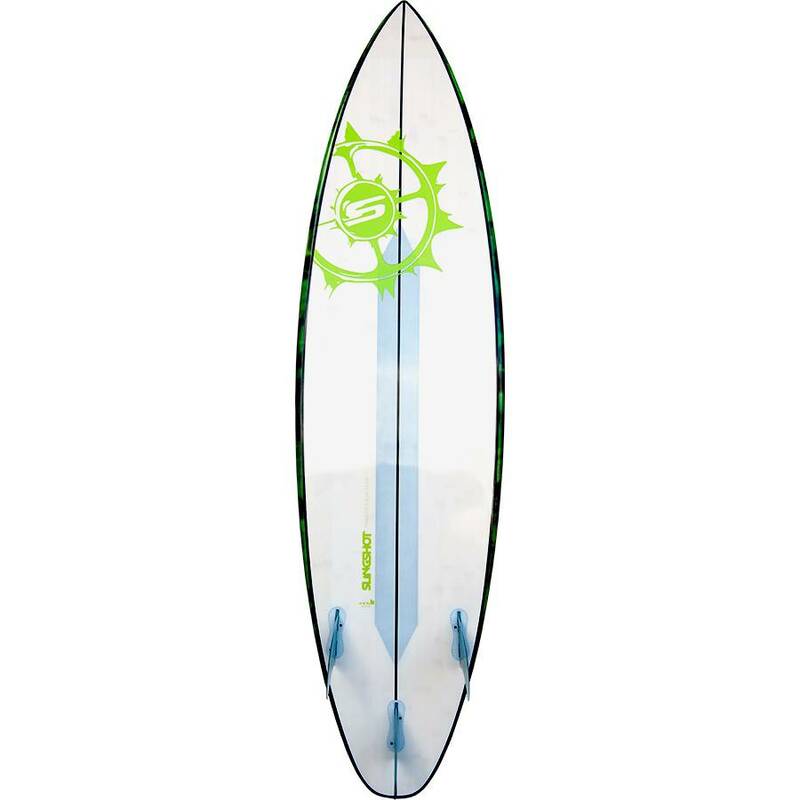 The 2018 Slingshot Tyrant is a classic shortboard designed for hard-charging, high speed riding. 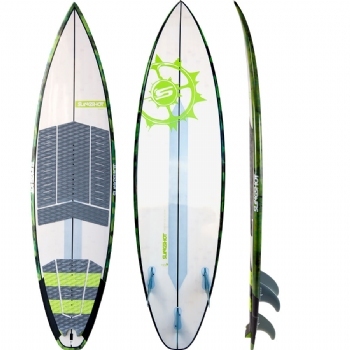 When conditions line up just right for big waves and solid wind, this is the board you want underfoot. 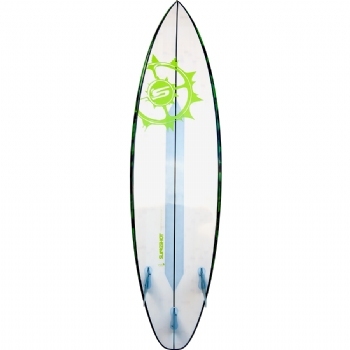 The Tyrant is a high-performance board best suited for aggressive, down-the-line wave riding. 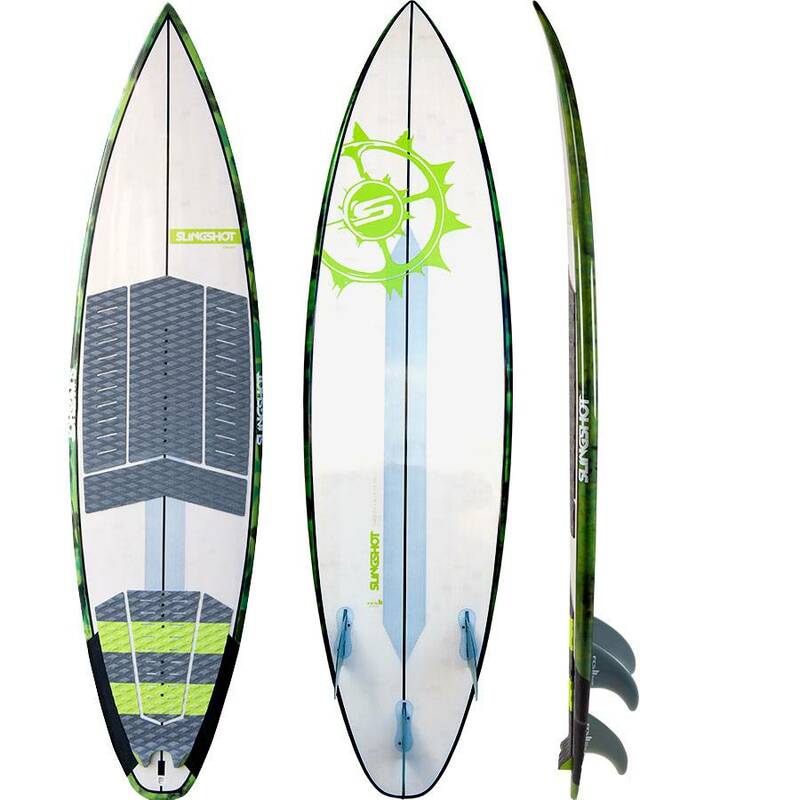 The Tyrant?s slender short board profile is designed for high-powered, high-speed, high-performance wave riding. Its rocker profile and rounded squash tail favor aggressive heel-toe edging, snap off the lip and locked-in bottom turns. 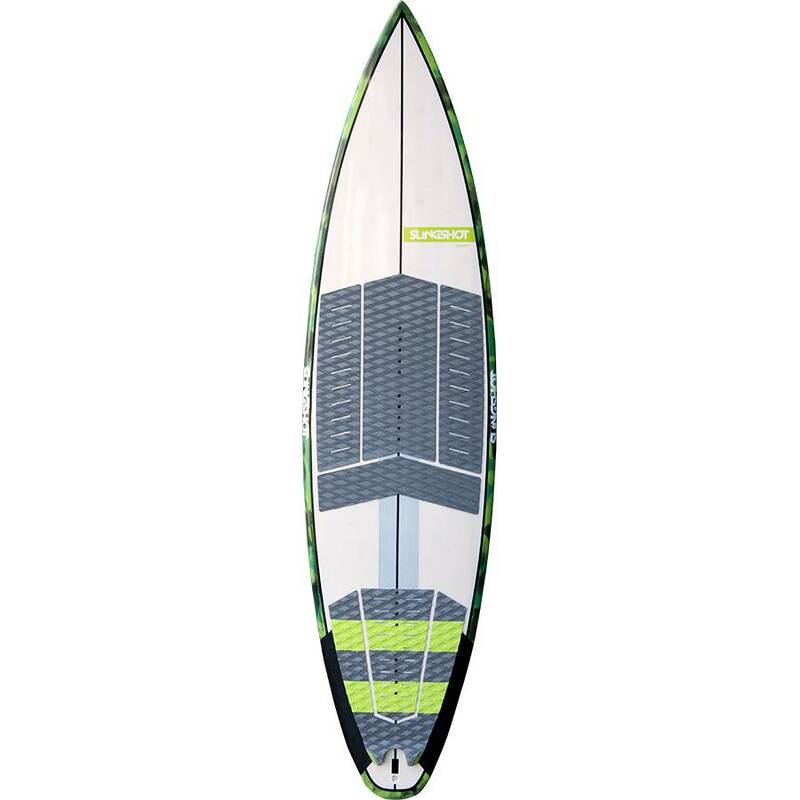 Large carbon stringer patches on the top and bottom give the board strength where it?s needed while keeping overall weight down. 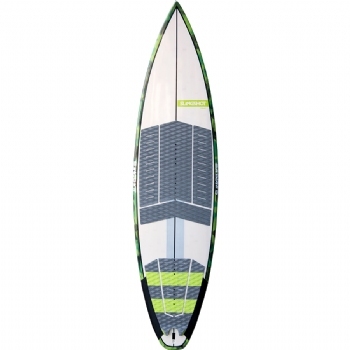 Additional carbon on the tail prevents breakage from heel impact. 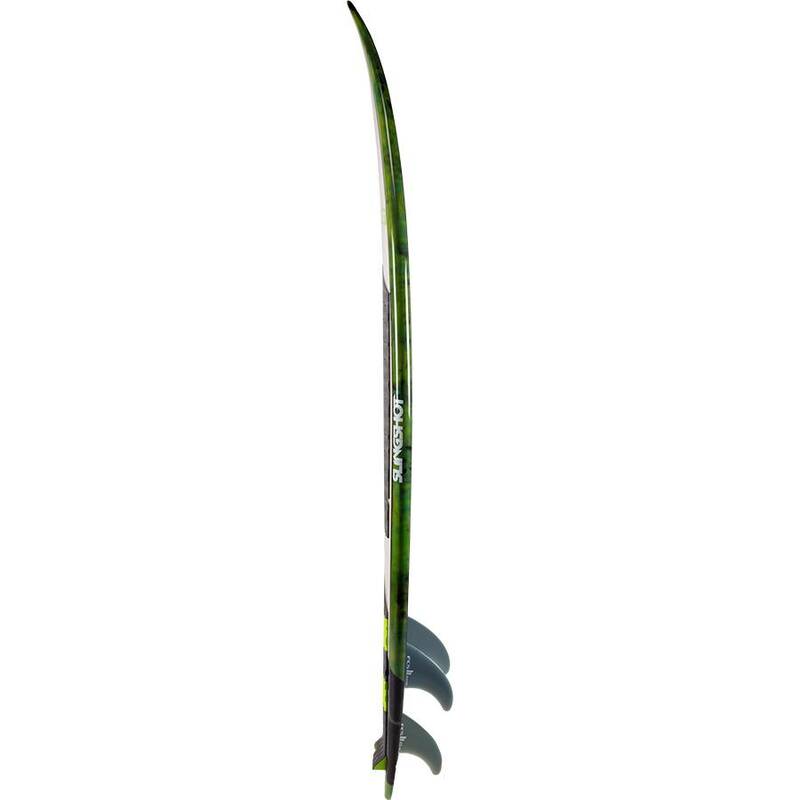 Rear Insert: Extra footstrap insert located far back on the tail for super slashy performance. Diamond Grip Deckpad: Refined deckpad provides just the right amount of grip and comfort. 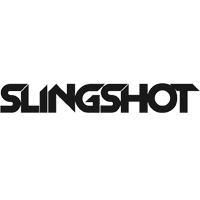 Lightweight, Durable Slingshot Construction: The Tyrant features a rugged EPS core, reinforced glass, carbon integration and high-end bamboo laminate finish that results in high-performance, light weight and trusted durability. For riders who like the locked-in performance of riding with straps, the board comes complete with inserts installed at the midsection and along the tail. A total of 10 insert options for your front foot, and 11 in the back mean you can totally dial in your stance exactly how you like it.